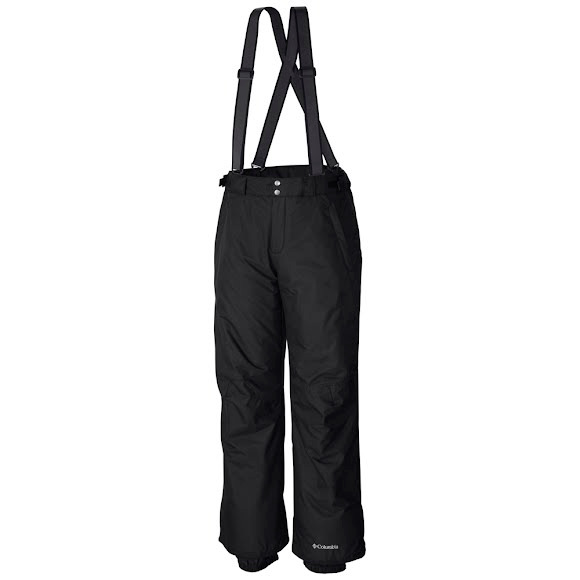 Embrace fresh powder days in these ergonomic-fit, suspender-equipped snow pants made with Columbia's Omni-Heat™ thermal-reflective lining and synthetic insulation. Critically seam-sealed to keep out the cold, these pants use their Omni-Tech™ technology to keep you dry while providing air circulating. Zip-up pockets keep small items secure. Embrace fresh powder days in these ergonomic-fit, suspender-equipped snow pants made with Columbia &apos;s Omni-Heat™ thermal-reflective lining and synthetic insulation. Critically seam-sealed to keep out the cold, these pants use their Omni-Tech™ technology to keep you dry while providing air circulating. Zip-up pockets keep small items secure. Adjustable suspenders and waist give the pants a secure fit. Reinforced hems and internal gaiters keep snow out.